Ingolstadt/New York, March 23, 2016 – 397 kW, from 0 to 100 km/h in 3.6 seconds, top speed 318 km/h – the new Audi R8 Spyder with naturally aspirated V10 engine merges impressive performance with the allure of open-top driving. Its striking design and high-end technologies demonstrate the concentrated expertise of the premium brand. Audi is unveiling its new open high-performance sports car at the New York International Auto Show 2016. “With its spontaneous throttle response, quick revving-up and inimitable sound, the 5.2 FSI naturally aspirated engine in the new Audi R8 Spyder delivers undiluted emotion,” said Dr.-Ing. Stefan Knirsch, Member of the Board of Management for Technical Development at AUDI AG. 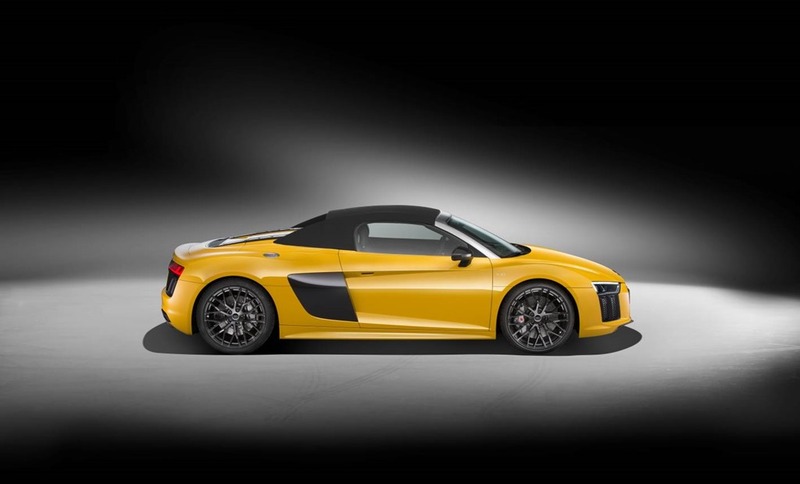 The R8 Spyder has a lightweight cloth hood tapering into two fins. These stretch the cloth so that it, along with the large hood compartment cover, harmonises perfectly with the athletic design of this high-performance sports car. An electro-hydraulic drive opens and closes the hood in 20 seconds up to a speed of 50 km/h. The rear window, sunk into the bulkhead, can be retracted and extended. With all windows up, the air stream strokes the body with a minimum of turbulence. Dry, the two-seater weighs just 1,612 kilograms. 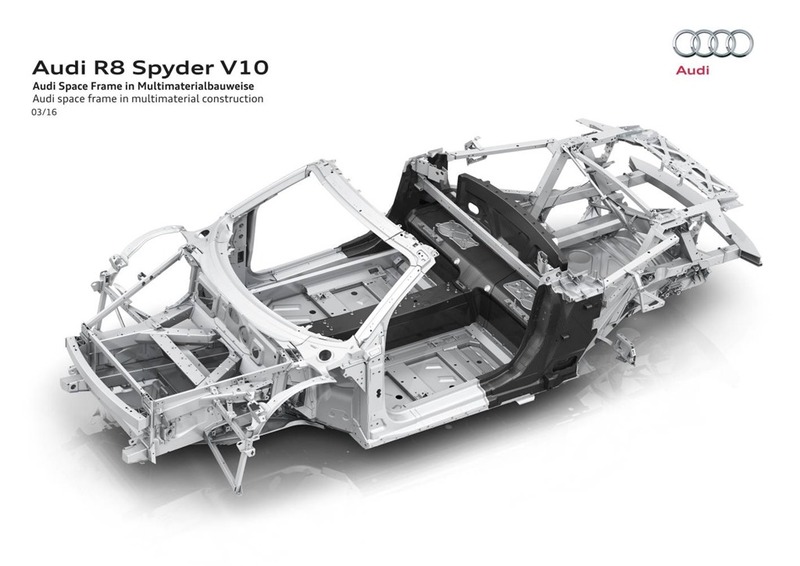 Its strong backbone is the newly developed Audi Space Frame (ASF) using the multi-material construction principle, made from aluminium and carbon fibre. The aluminium components make up 79.6 percent of its weight. In a progression from the R8 Coupé, they form a lattice that Audi’s engineers have used to incorporate specific reinforcements especially into the sills, A-posts and windscreen frame. Innovative manufacturing methods lower the weight of individual components by up to ten percent. As a result, the highly rigid body weighs a mere 208 kilograms, and its torsional rigidity has increased by over 50 percent compared with the previous model. The mighty mid-engine with dual injection system sets the tone in the new Audi R8 Spyder V10. The naturally aspirated 5.2-litre engine has a dynamic throttle response. Its roar – which can be optionally amplified by a sport exhaust system with gloss black tailpipe trims – is goosebump-inducing. 397 kW of power and 540 Nm of torque at 6,500 rpm deliver phenomenal road performance: from 0 to 100 km/h in 3.6 seconds, and a top speed of 318 km/h. Efficiency technologies such as the new freewheeling mode, where the R8 coasts with the engine decoupled, also promote fuel efficiency by ten percent compared with the predecessor model. The new R8 Spyder consumes 11.7 litres per 100 kilometres, corresponding to 277 grams CO2 per kilometre. to a newly designed quattro drive system with an electro-hydraulically activated multi-plate clutch at the front axle. The all-wheel clutch, watercooled for maximum performance, distributes the drive torques fully variably according to the driving situation – in extreme cases, up to 100 percent to the front or rear wheels. The intelligent control system is incorporated into the Audi drive select system, which offers four modes ranging from overtly dynamic to comfort-oriented. In conjunction with the optional R8 performance leather steering wheel, three more driving programs are available: dry, wet and snow. They make handling even more precise and stable, to match the specific conditions of the road being traveled. The controls place the focus squarely on the driver, who can operate all important functions with the multifunction and satellite push-buttons without having to take their hands off the steering wheel or look away from the road. The large 12.3-inch, fully digital Audi virtual cockpit presents all information using rich 3D graphics – if desired, in a special performance view that includes driving dynamics information. The intuitively operated MMI navigation plus with MMI touch is standard, as are belt microphones. These make it even easier to use natural-language voice control and the phone. MMI search, which makes search suggestions after input of just the first few letters, offers a shortcut to the required information. With the Audi smartphone interface, a new technology makes its entrance in the R8 Spyder. This makes it possible to display selected content from the smartphone directly in the Audi virtual cockpit. From the middle of this year, this option will also be available for the R8 Coupé. Audi phone box can also be supplied. It connects mobile phones to the car aerial and charges them inductively. 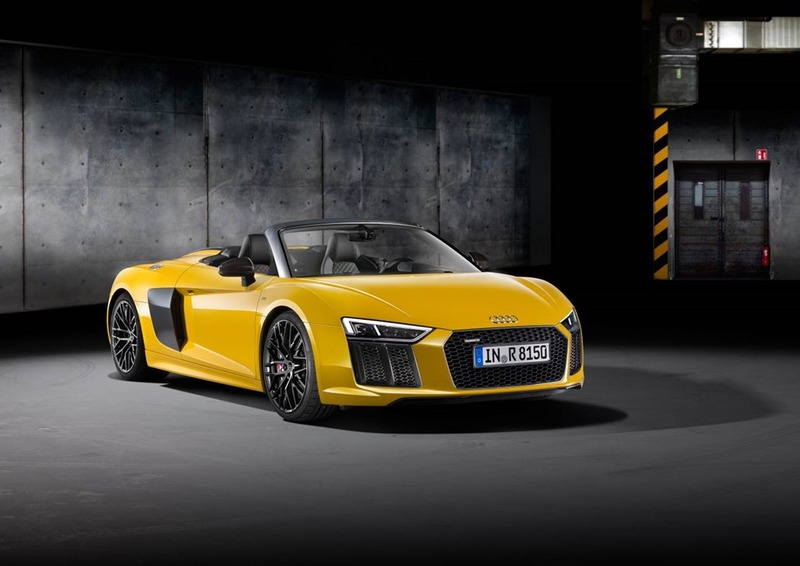 Audi connect gets the R8 Spyder on the Internet via LTE and provides a wide range of services – from online media streaming to real-time traffic information. The Bang & Olufsen Sound System is another highlight: for the first time, Audi integrates two head restraint loudspeakers into each seat, for an excellent audio experience even when driving with the hood open. The build quality of the new R8 Spyder, which is extensively hand-built at a manufactory near Neckarsulm, is of the highest standard. The driver and passenger sit on sport seats or bucket seats with a more highly contoured seat shape, for superior lateral support. Over and above the extensive standard equipment, customers have almost unlimited scope to tailor both the interior and exterior to their individual preferences. Add-on body components such as the front spoiler, the diffuser and the new sideblades are also available in carbon. LED headlights with newly developed laser technology maximise visibility and range for the driver, bringing increased safety at night. The new Audi R8 Spyder will arrive in Australia in the first half of 2017. 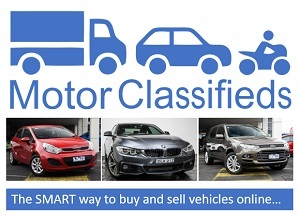 Pricing and specification details will be announced closer to launch.